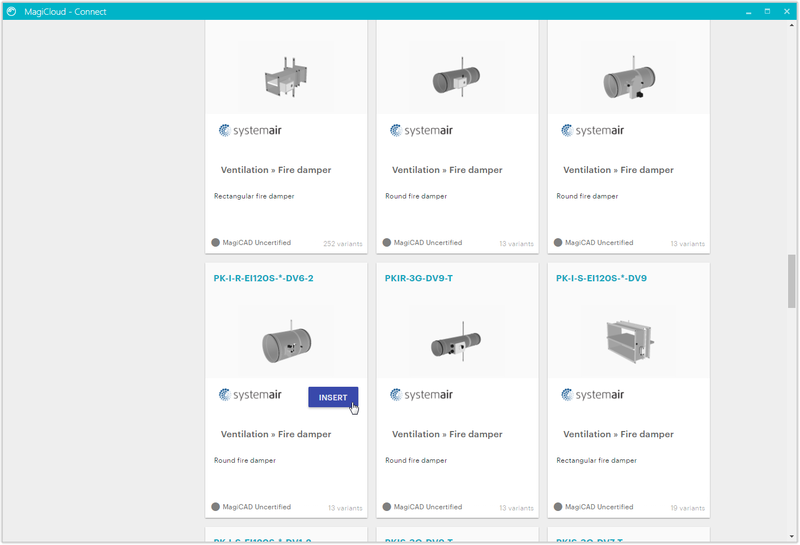 MagiCloud Connect is an add-in for Mechanical, Electrical and Plumbing (MEP) designers using Autodesk® Revit®. 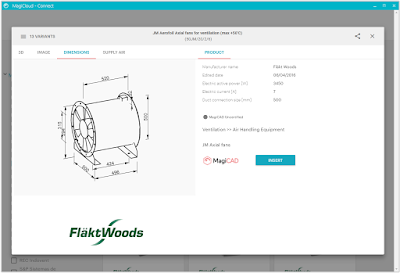 When installing MagiCloud Connect, Revit users can download free of charge a selected portion of MagiCloud’s BIM objects inside native Revit projects in native Revit RFA format. 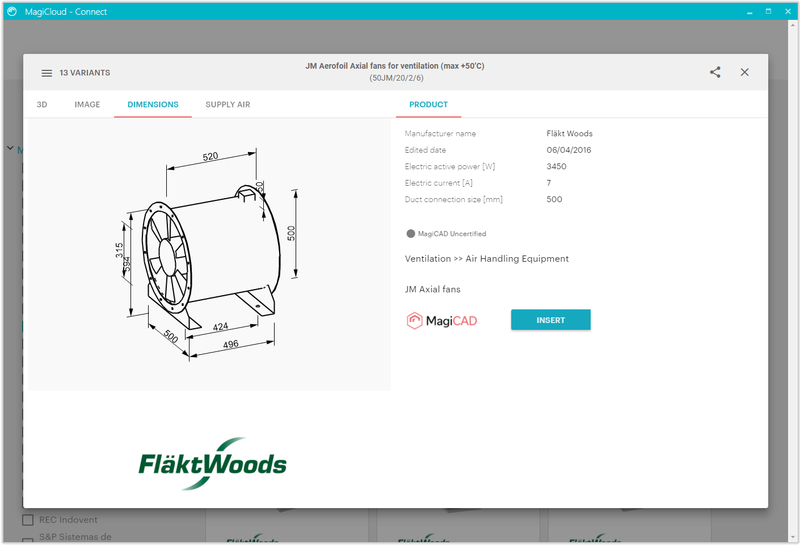 MagiCloud Connect also provides access to MagiCloud’s online tools for selecting and configuring manufacturer-specific MEP products. 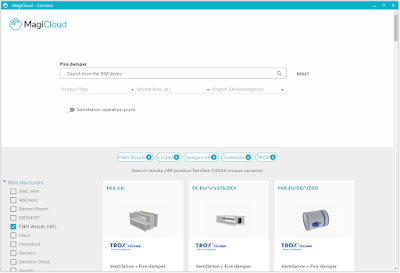 MagiCloud currently features online product selection and configuration tools from the manufacturers Vallox, including a selection of air handling units, and the Purus enabling detailed configuration of floor drains. 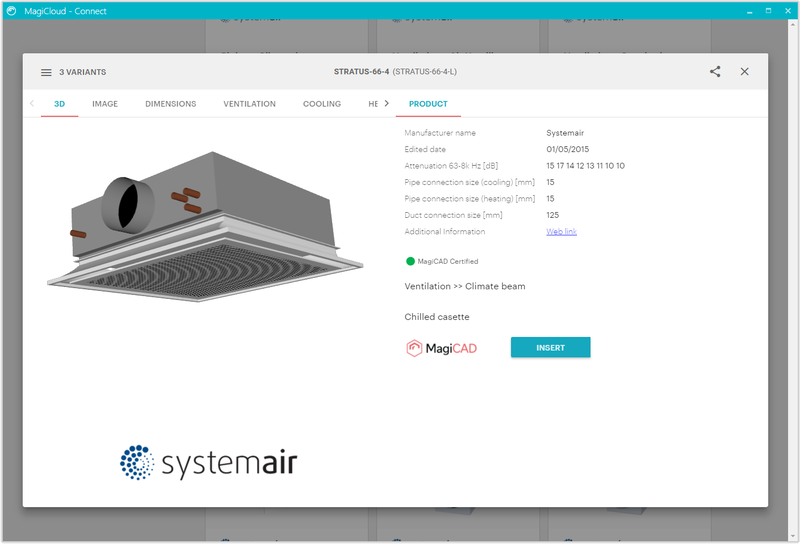 When the selection tools are accessed via MagiCloud Connect, the selected products can be inserted directly into the Revit project in user-defined product sizes and dimensions. 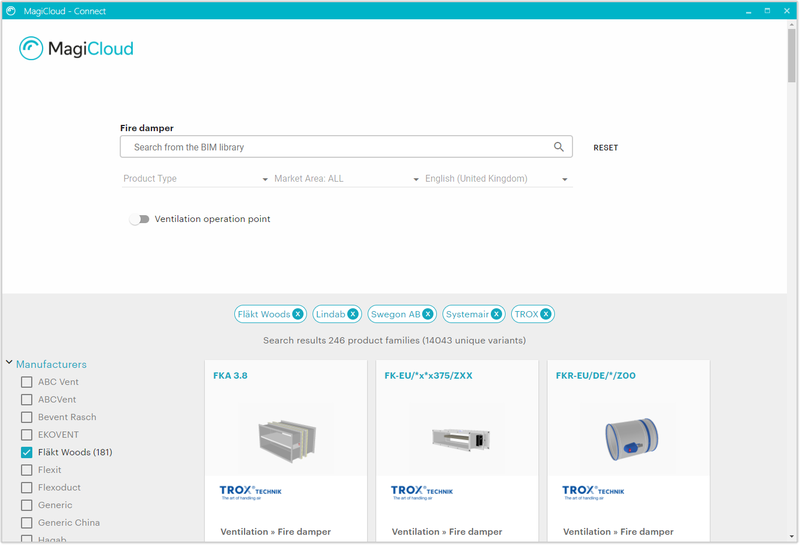 MagiCloud is currently the only BIM platform to offer online selection and configuration tools for MEP products. 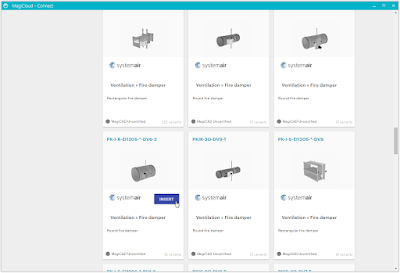 Quick access to MagiCloud BIM object library. Connect enables you to access MagiCloud libraries and selection tools without leaving your project in Revit and place content directly into your project. of products from wide range of manufacturers. 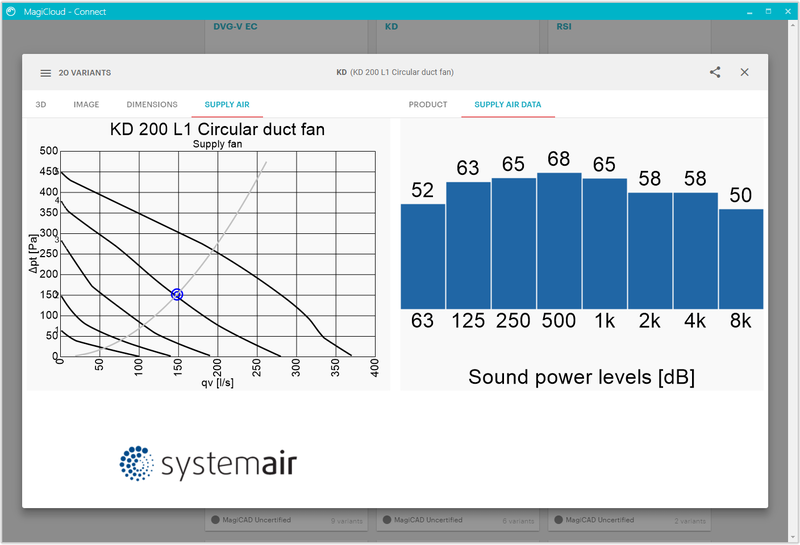 Detailed 3D preview of the product and accurate technical data. Accurate dimensional diagrams of the product. 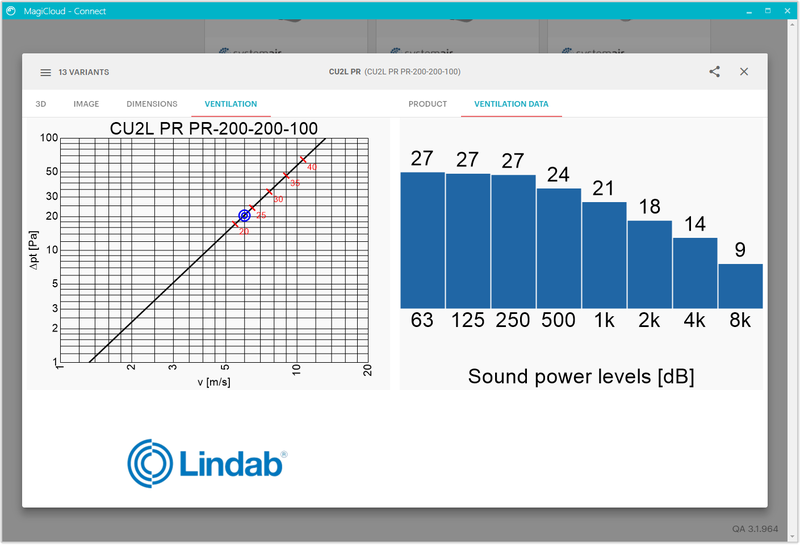 Accurate technical data of the product like the sound power levels. Quick and effortless product insertion to design drawing. 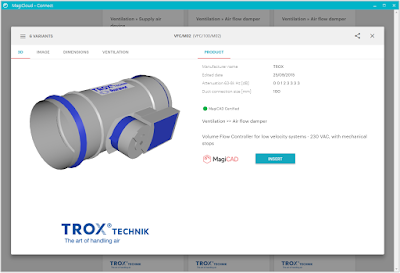 Version 2018.07.13, 7/13/2018 – Search Revit compatible product models from MagiCloud’s wide selection and insert them effortlessly into your design drawing. 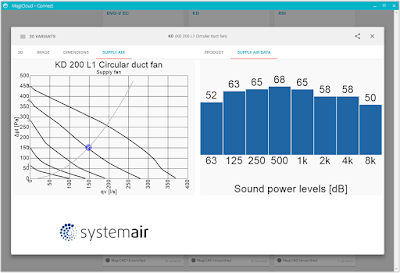 Have access to manufacturer’s MagiCloud selection tools which will make selecting the correct product for your design that much easier. F1 Help has now been added. MagiCloud Connect for Autodesk® Revit® is brought to you by Progman Ltd. It's free. This add-in is available in versions compatible with Revit 2019, 2018, 2017, 2016, and 2015.